Product Consists : Bouquet of 25 Red and White Roses in a cellephone wrapping with a matching bow, + 4 Kg Mix Fruits in basket + Christmas Greeting Card. If you are wondering what to send to your loved ones on Christmas as a unique gift, we are here with the best solution. Have a look at the hamper that has all things super happiness filed. 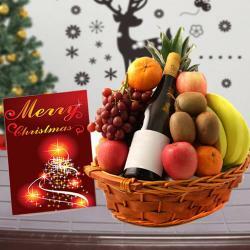 Show how much you care with a basket full of fruits that are fresh and tasty. These fruits will deliver your care in the best way. 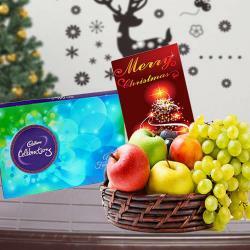 With fruits basket, we also have clubbed a bunch of mix roses along with a fabulous Christmas greeting card. 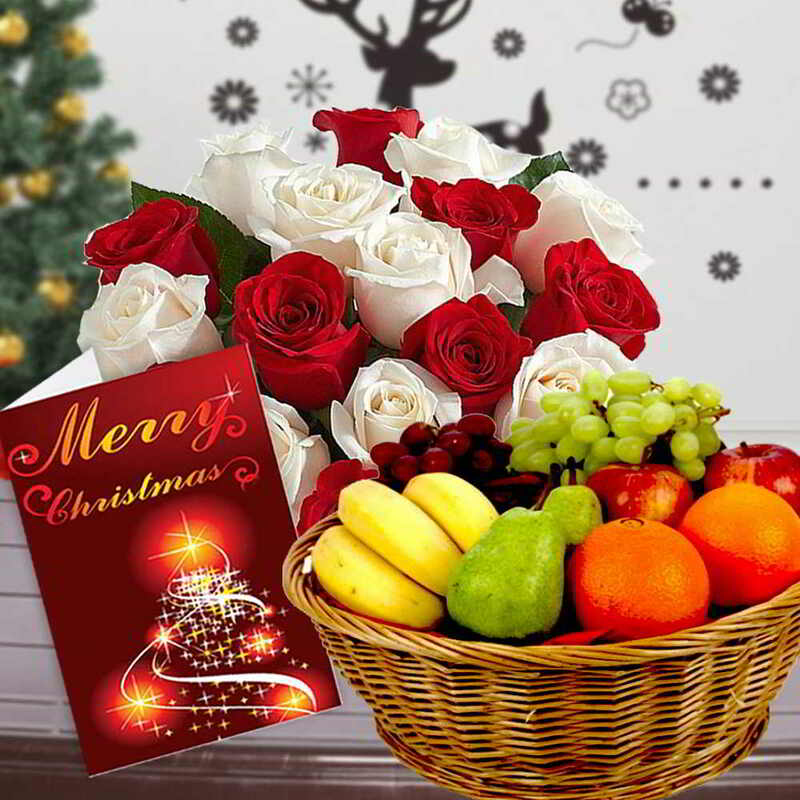 Product Consists : Bouquet of 25 Red and White Roses in a cellephone wrapping with a matching bow, + 4 Kg Mix Fruits in basket + Christmas Greeting Card.